Picking up unhealthy snacks is an easy habit to get into, but planning ahead can combat that and stop your kids getting addicted to sugar. 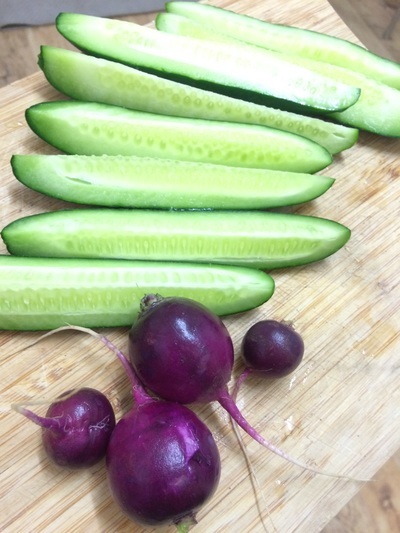 Cucumber doesn't sound like the tastiest snack, but baby cucumber is naturally sweeter and pickled, is a flavoursome, sugar-free snack that your little ones will actually enjoy. Plus this takes mere minutes to put together. 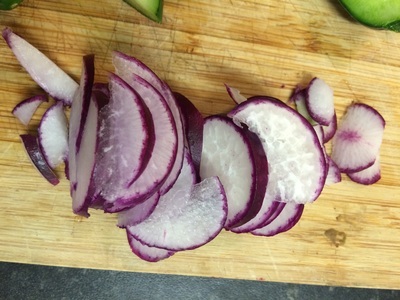 Slice the radish finely (or as fine as possible). 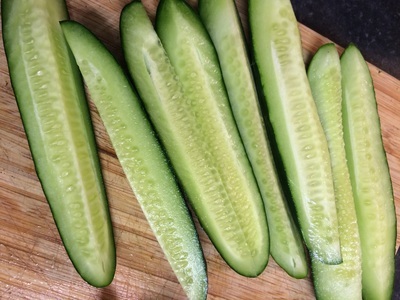 Slice the cucumber into thin/thick strips - up to you. 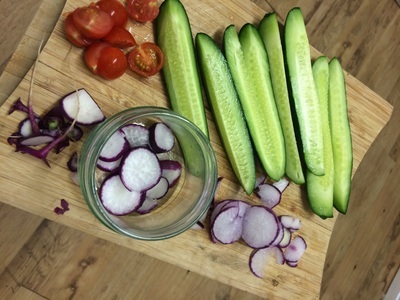 Add half of the radishes into a jar and add the seasoning. 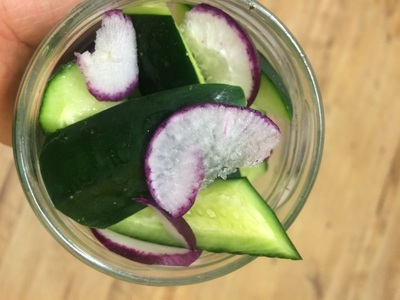 Layer the rest of the ingredients, place the lid on top, give the jar a shake to coat both the cucumber and radish. Serve. 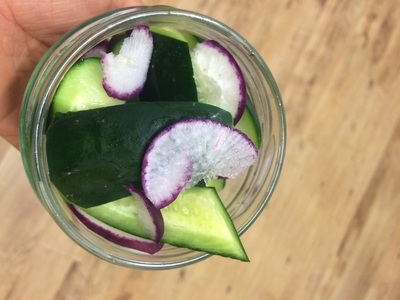 This keeps well in the fridge for three days - a perfect grab and go snack.